All aboard the Choo Choo train! 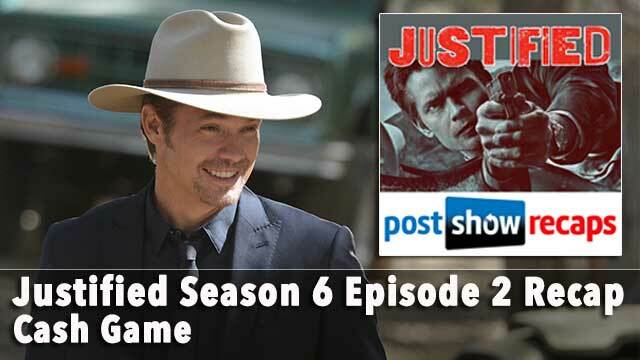 Josh Wigler (@roundhoward) and Antonio Mazzaro (@acmazzaro) are back to dig into the CASH GAME at the heart of the second episode of JUSTIFIED season six. In their recap, Josh and Antonio run through the entire episode and also toss out some pet theories of their own, including what the arrival of Choo Choo could mean for Tim Gutterson, the lingering presence of Dewey Crowe’s necklace, and much more. 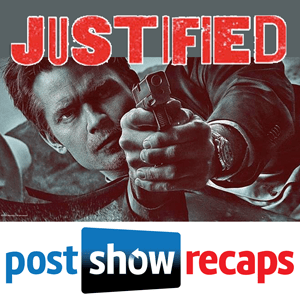 Make sure you don’t miss an episode of the JUSTIFIED podcast by subscribing to our iTunes feed and RSS feed. 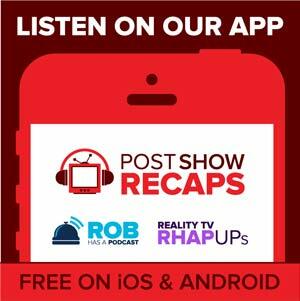 Get your questions in for next week’s show at postshowrecaps.com/feedback. Josh Wigler is an entertainment journalist who covers Survivor, Game of Thrones, The Walking Dead and other popular TV shows for The Hollywood Reporter. He's the co-author of The Evolution of Strategy, creator of First One Out, host of Post Show Recaps and The Wiggle Room, and occasional Wanda Shirk impersonator. He once interviewed Kermit the Frog about The Avengers and The Hunger Games, and hung out with Daryl Dixon and Ted the teddy bear during New Year's... so, you know, he's kind of a big deal. Follow Josh on Twitter @roundhoward. Antonio Mazzaro is a Kentuckian, Lawyer, and Radio/TV/Film graduate of Northern Kentucky University--but he would love it if you didn't hold any of those things against him. Antonio's covered shows including Breaking Bad for Post Show Recaps, and Jack Benny, My Morning Jacket, and the Cincinnati Bearcats are a few of his favorite things. The TV character he would most like to emulate is his hero, Mr. Rogers. Follow Antonio on Twitter: @acmazzaro.